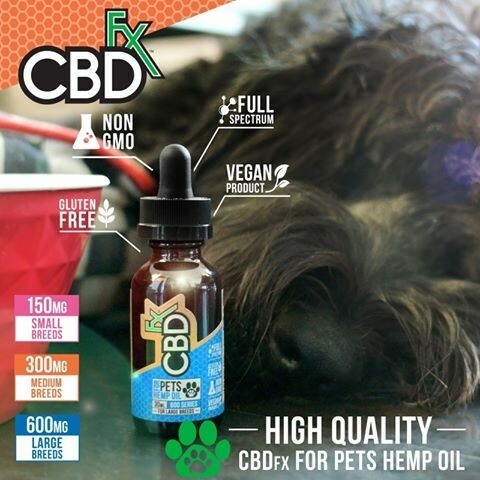 This high quality brand of hemp oil for large pets is manufactured by CBDfx and contains 600mg CBD in a 30ml pipette bottle. Easy to use, it's for large breeds of dogs and cats, suitable for daily use depending on your pet's needs. Made from organic, full spectrum CBD and organic coconut oil, it's high in nutrients and no needlessly added ingredients. 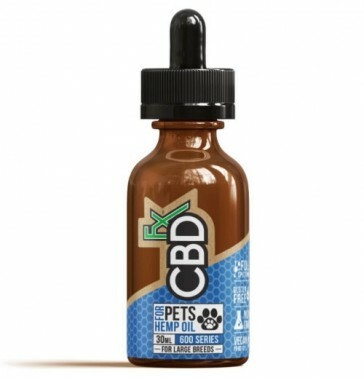 As a potent oil, one drop will do a lot so be careful not to overuse - the dropper allows you to give just one drop at a time. The best ways to administer to your pet is my dropping it on their tongue or to mix it in with their food. Specifically designed for large breeds, get in touch with any questions for our team.